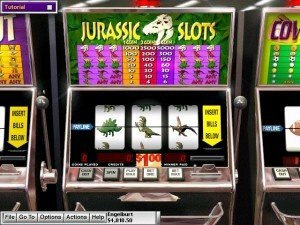 This impressive complement of casino games includes eight styles of Poker, twenty two Video Poker machines and innumerable slot machines. 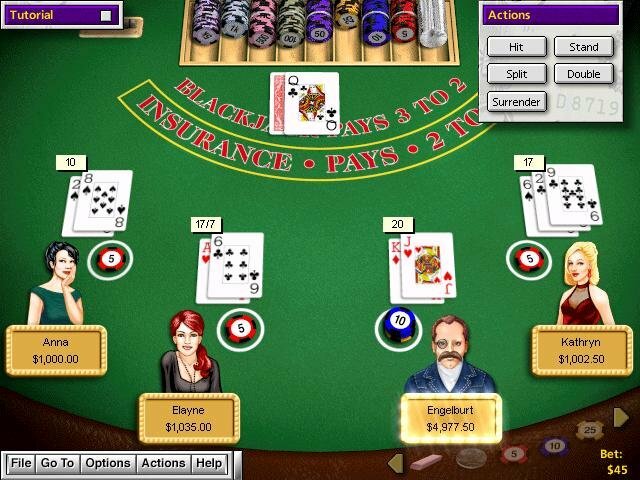 In addition, Blackjack, Craps, Keno, and Roulette provide both tournament and solo play modes. 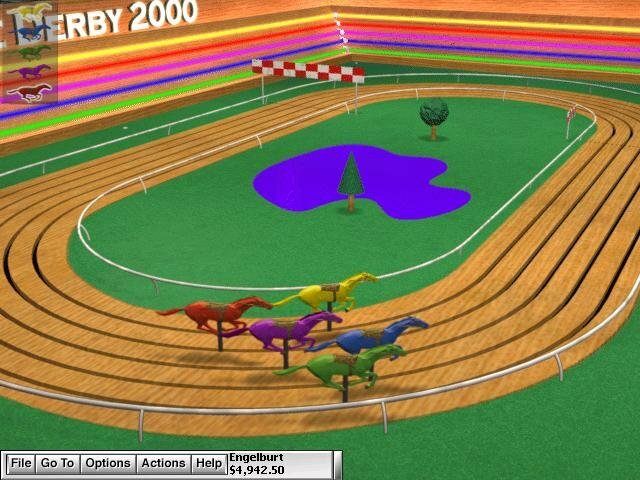 Horse Racing fits well as an alternative source of draining dollars next to dice and cards. 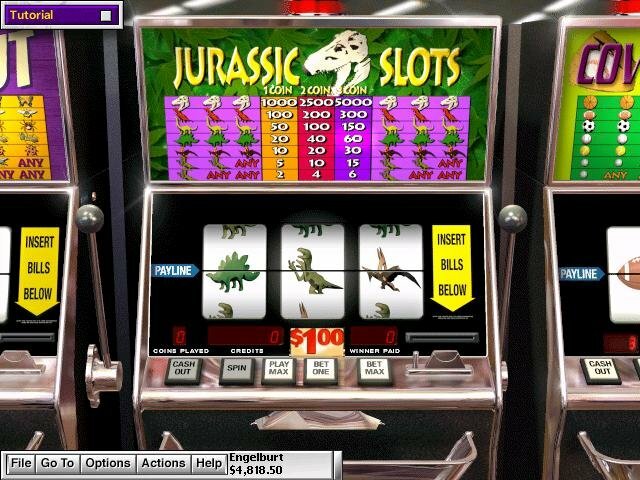 This package recreates to near perfection the individual sounds, dazzling imagery, and distinctive traits of each different game in the suite. 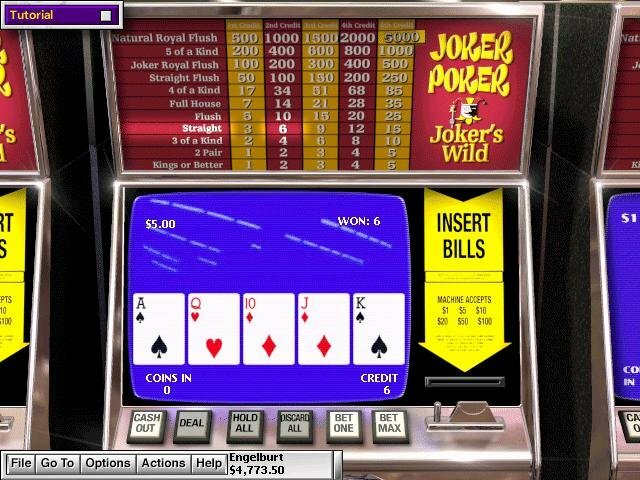 For example, realistic light patterns flash in tempo on Slot Machines in between usage; meanwhile, grainy, smeared renditions of poker cards blip methodically onto the monitor in Video Poker. 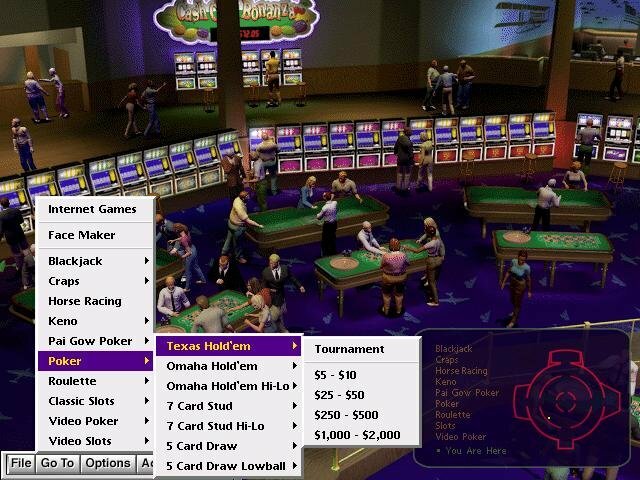 In place of a more conventional list or menu of choices, the game brings alive the gaudy glitz of the typical casino experience with a fully featured casino room, segmented into categories. 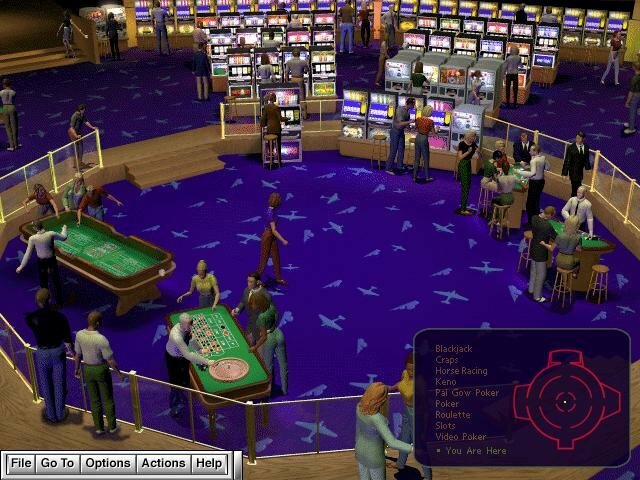 A minimap of the entire casino floor aids in hopping from area to area quickly. 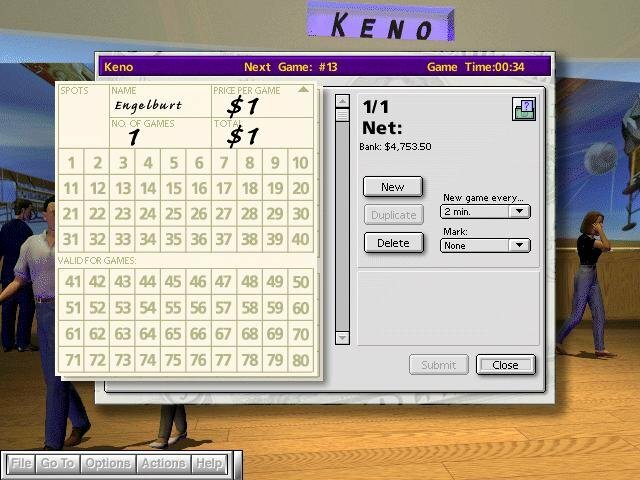 And if not, there’s always the simple pop-up menu that gives instant access to any game. 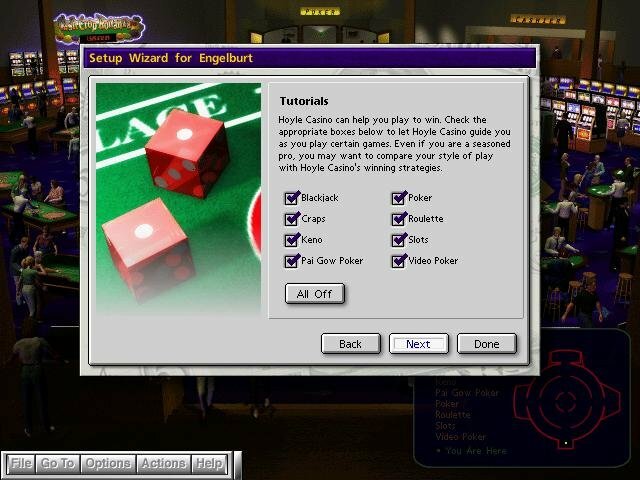 New players will find a wealth of hints and tips available for making competent choices with an included Tutorial mode that’s considerably more competent this time around. 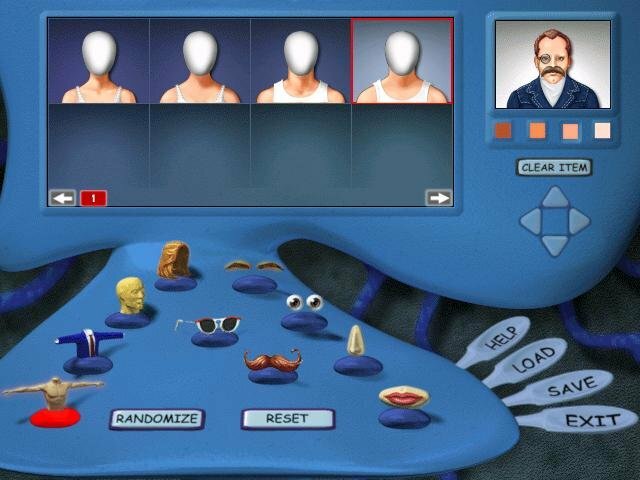 New features like the FaceMaker component and full screen mode only add further to an already outstanding game collection. A welcome is a very comprehensive player history, which tracks the progress (or regress) of players with overall and game specific statistics. 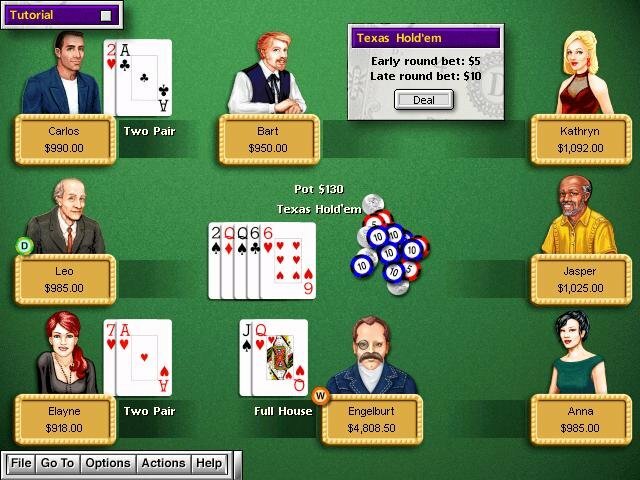 There’s also an included multiplayer component, supporting both online and hot-seat modes. 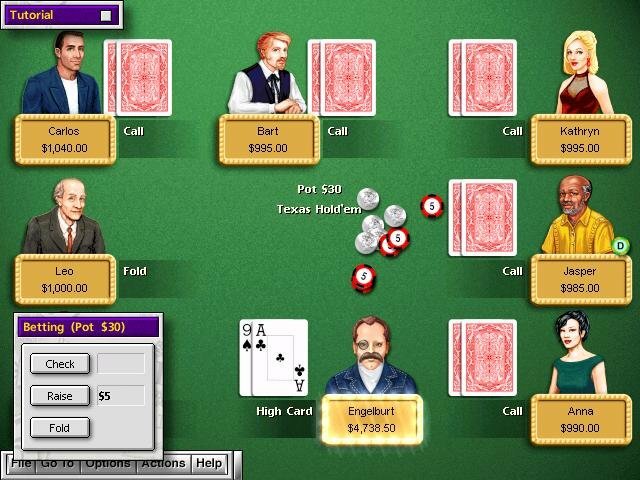 Online access is naturally long dead, but you can always add a real person into a game of Blackjack, Roulette or Craps. It’s great fun seeing who can rake in the most cash and who plummets into crumbling debt. 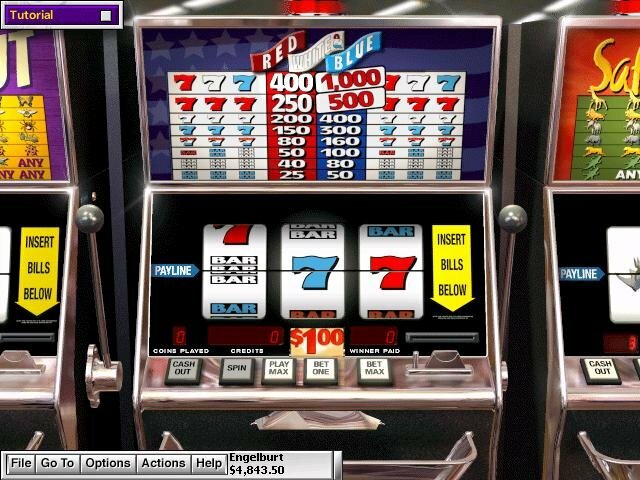 Best of all, you get to play and master the subtleties of many glamorous casino games without the added risk of losing your life savings. 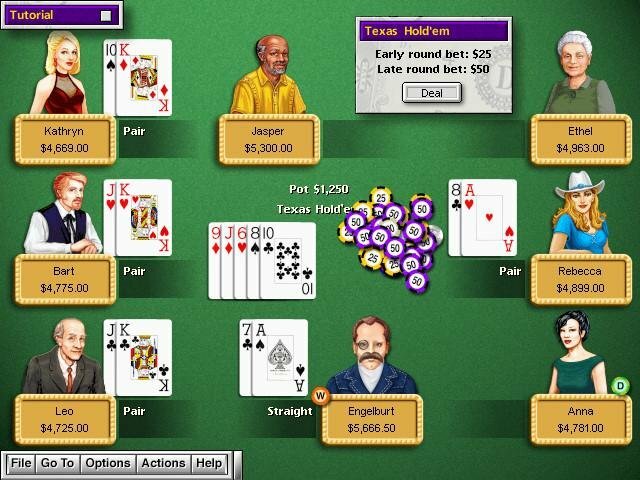 They’re good fun all the same, and the sense of despair you get in Poker after losing everything to what you thought was a surefire winning hand is quite exhilarating. Download not working, the Zip files inside the main one such as the user1 zip are ‘damaged’ and the game will not start. 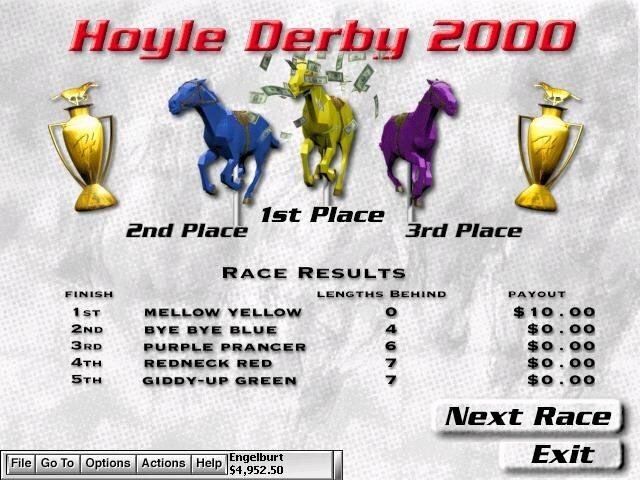 I have a disc from 1999 of Hoyle Casino by Sierra. 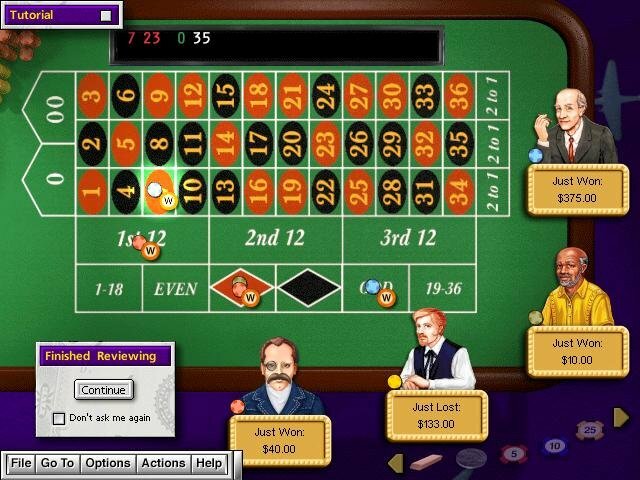 We have played this so much because I have a son who is blind and he used the #9 key to play slots. The disc has been used and is damaged. I ordered a new one which I believe is 2008 version but we don’t like it. 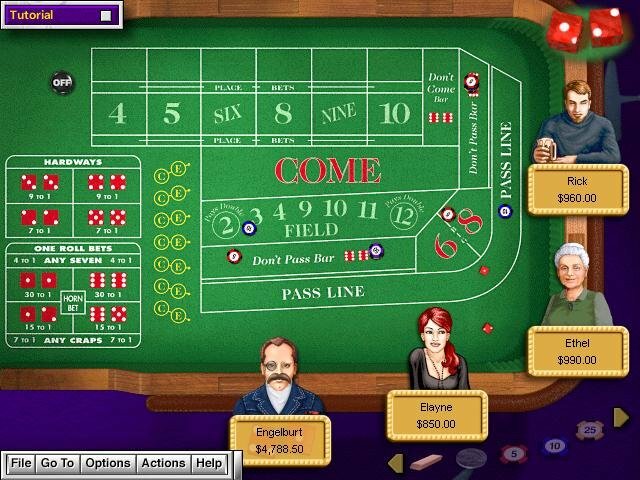 I am trying to download Hoyle Casino4 but am having trouble. 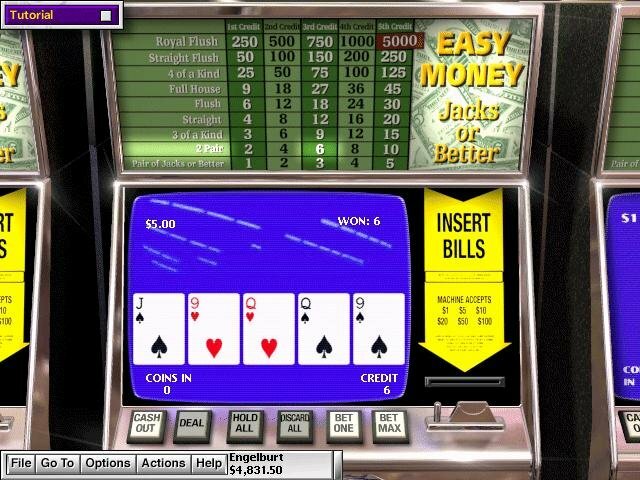 Did you download hcasino-opcg.zip tho?? 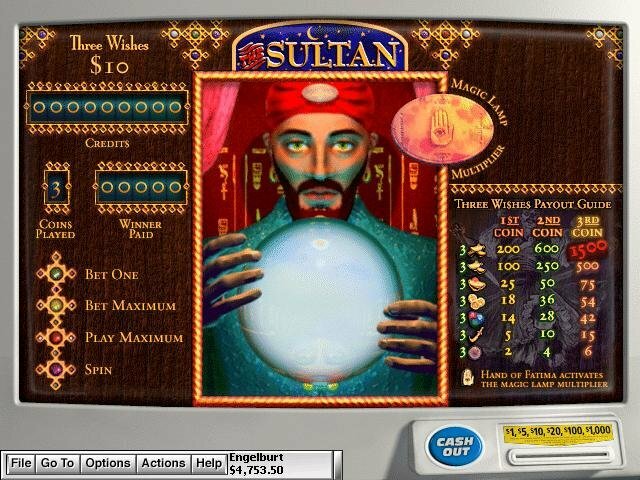 Gambling game is really underrated. Uhhhh I’m not sure you are still supporting this, but the game can’t run. I’m playing it on Windows 10 and have tried the compatible Win XP.